Before I moved to upstate (or technically “central”) New York, I would visit Farm Sanctuary (in Watkins Glen) and Ithaca about twice a year. At least one of those trips I lovingly referred to as my “all-girls’-vegetarian-road-trip.” I would ask 3 of my girlfriends who were either vegan, vegetarian, or just open-minded/veg-curious to join me on the annual retreat. 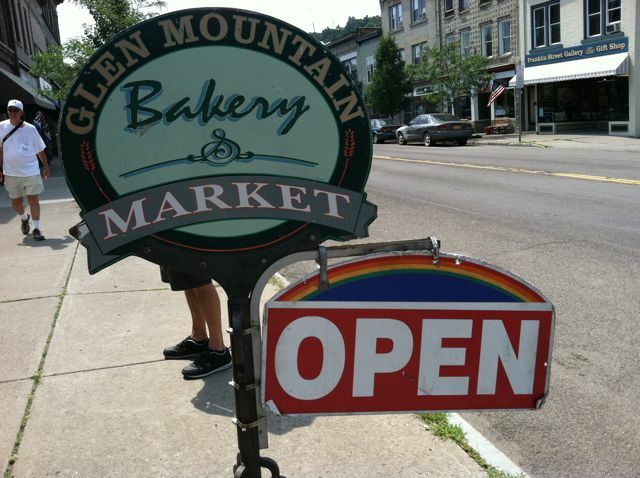 When we would stay in Watkins Glen visiting the farm, we invariably would end up eating at Glen Mountain Bakery & Market for lunch. 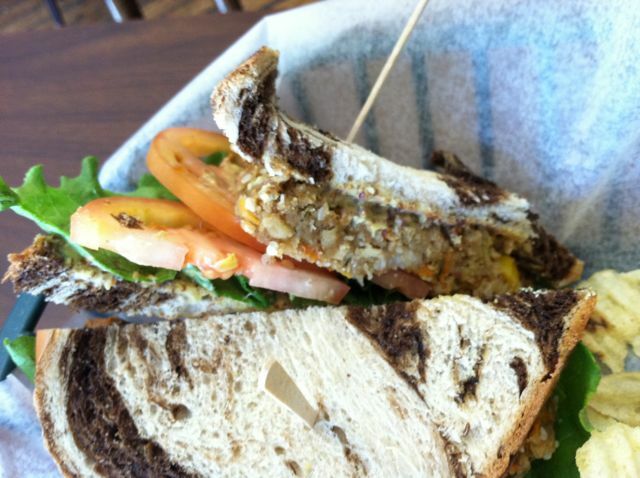 They have several sandwiches that are clearly marked as vegan and also have some vegan baked goods (they supply Farm Sanctuary’s B&B with tasty baked goods!). 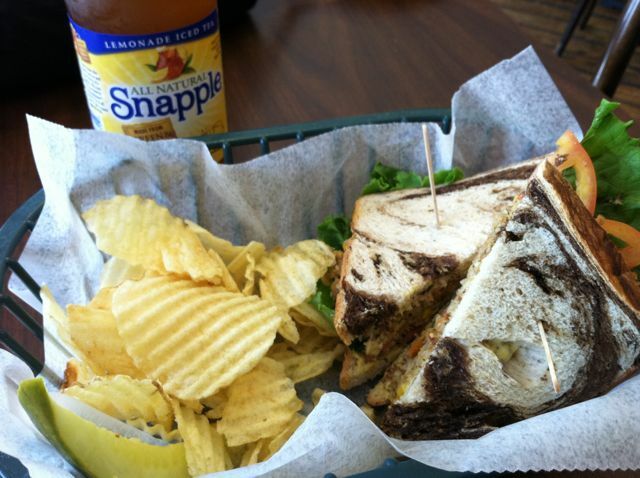 On a recent visit to Glen Mountain Market, I ordered my usual favorite: Jackson’s Revenge on marbled rye (a homemade tofu burger topped with lettuce, tomato, and spicy mustard). I don’t know everything that is in this burger, but I get it almost every time I have lunch here. It comes with chips and a pickle and I got a Snapple lemonade iced tea to wash it down. The burger is very delicious and moist. The spicy mustard and wonderful bread give this meal an added punch of flavor. My mouth waters just thinking about this tasty combo! Overall, I give this meal a 5 out of 5 carrots on the veganlicious scale! If you’re ever in Watkins Glen (known for its racetrack) visiting the sights, I highly recommend having breakfast or lunch here.